The Taliban will send representatives to multilateral talks in Russia on war-torn Afghanistan this month, the militant group said Tuesday, as the international community ratchets up efforts to end the 17-year conflict. Moscow announced Saturday it would host the meeting on November 9 to discuss ways to kickstart peace talks between Kabul and the Taliban. In a statement posted on social media, the Taliban said it would dispatch "high-ranking" representatives from its political office in Qatar. 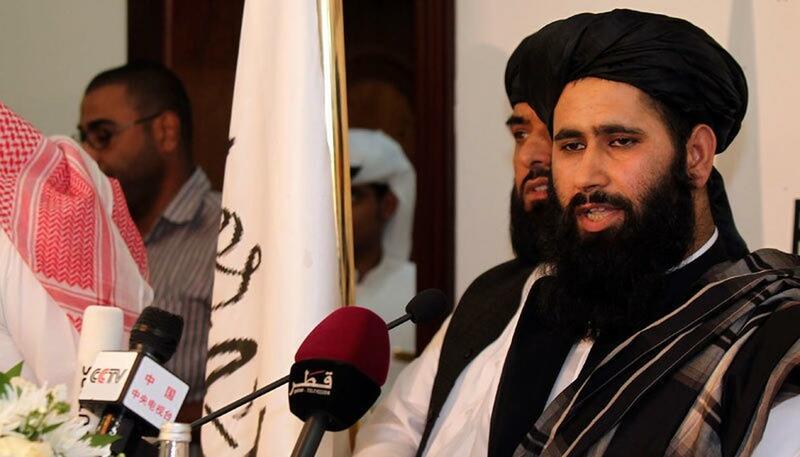 "This conference is not about negotiating with any particular side, rather it is a conference about holding comprehensive discussions on finding a peaceful solution to the Afghan quandary and ending the American occupation," Taliban spokesman Zabiullah Mujahid said. The Taliban last month appointed five former Guantanamo Bay detainees, who had been swapped for US soldier Bowe Bergdahl in 2014, to its political office. They have the authorisation to "talk about peace", a senior Taliban official told AFP. The confirmation comes a day after Afghanistan's High Peace Council, a government body responsible for reconciliation efforts with the militants, said it would send a delegation. Moscow has also invited representatives from the US as well as India, Iran, China, Pakistan and five former Soviet republics in Central Asia. The US embassy in Kabul did not respond to an AFP request for comment. The Moscow meeting was initially scheduled to take place in September, but was postponed after Kabul insisted that the process should be Afghan-led. The meeting comes at a sensitive time. Newly-appointed US peace envoy Zalmay Khalilzad has been trying to convince the Taliban to agree to negotiate an end to the war and there are fears the Russian meeting could derail those efforts.